Carey Peterson has been at Sutter Health for nearly two decades. 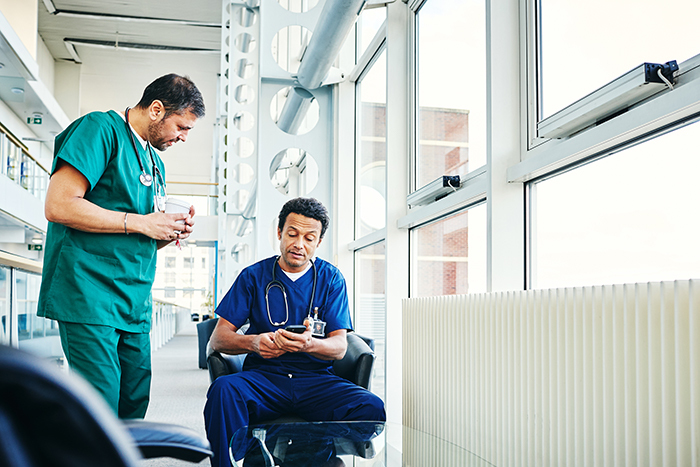 During that time, the not-for-profit healthcare organization has implemented numerous strategies to engage with employees who are always on-the-go. Print. Email. Even a company news channel. But the challenge of building close relationships between the organization and employees had proven daunting. Despite those best efforts, it remained a struggle to connect with the dispersed workforce of 53,000 people. Not only are those employees spread throughout more than 100 facilities and offices across Northern California, Utah, and Hawaii, but they’re also working around-the-clock shifts, seven days a week. “It’s just especially difficult to reach people who aren’t sitting in front of a computer,” explained Peterson, the Director of Internal Communications. 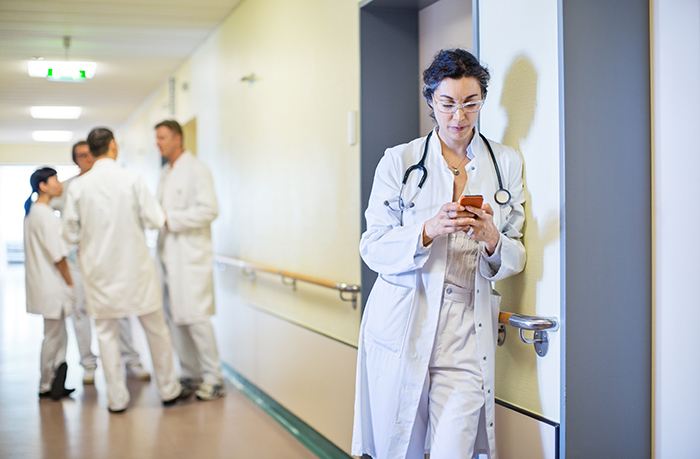 Sutter Health knew that the answer to solving this vexing problem was finding an innovative way to meet employees where they are – on hospital wards, in laboratories, at clinic sites. This meant putting critical information at the fingertips of employees on their mobile devices. 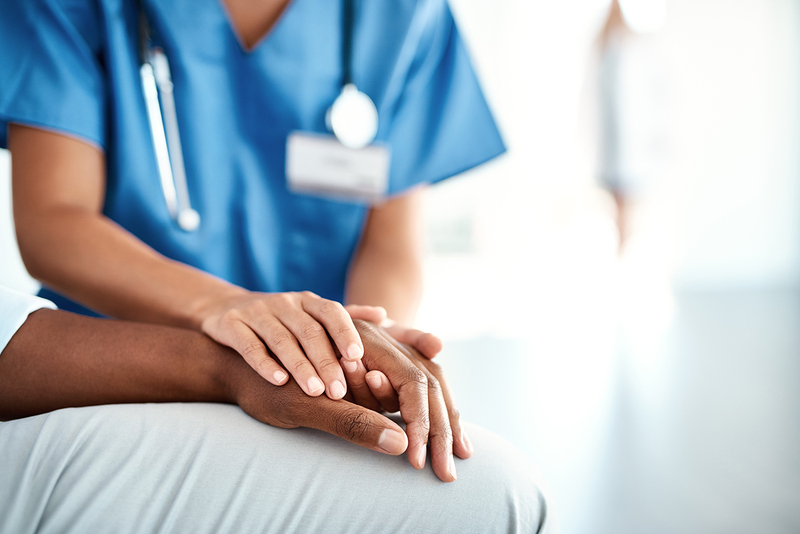 Sutter Health also wanted a platform that enabled the workforce to share their experiences delivering exceptional healthcare to patients easily. Sutter Health improved the fitness of company communication and empowered employees to become knowledgeable advocates with Dynamic Signal. In just four months after the unveiling of the Dynamic Signal platform, which is branded Team Sutter, 35 percent of the workforce had adopted the new solution. That number jumped to 49 percent after 10 months. Today, it’s 60 percent – and climbing. Team Sutter ensures that employees, whether they are accessing the platform on their mobile devices or desktop computers, receive the information that helps them do their jobs better and know what’s happening throughout the company. At a time when busy employees have a limited attention span, it’s essential to cut through the communication “noise” and get messages directly into the hands of employees, Peterson explained. 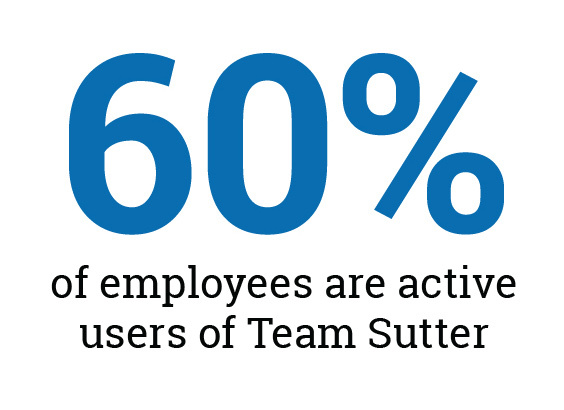 Team Sutter is much more than a top-down communication solution. It also gives employees a voice by allowing them to contribute content, such as snippets from their workday, photos with colleagues, and from events such as wellness 5K runs sponsored by the organization. Because patient privacy is so vital to Sutter Health, Peterson said they were prepared to address concerns voiced by the healthcare system’s legal team. “But once we explained the precautions we had in place, they said, ‘It’s about time. We have a lot of deskless workers in our organization, and we have to step up and be innovative,’” Peterson recalled. Once content is approved by the communication team and posted on the platform, employees can confidently share it with their social media networks. This enables them to become knowledgeable ambassadors as they spread the Sutter Health story. The great work of Sutter Health is going viral. The platform also helps enable people to feel part of something bigger than themselves, and they can contribute to that culture with their own stories. The platform also is a critical tool during the most difficult of times. When a devastating wildfire endangered a rural Sutter Health hospital in 2018, the internal communications team used the platform to keep employees informed and safe. The wider Sutter Health community also stayed up-to-date with developments from a trusted news source about what was happening with their colleagues – and how they could help. Sutter Health knows employees are both informed and empowered because the platform provides metrics that show the impact of communication efforts by measuring both the engagement with company messages and the content being shared on social media. For instance, Sutter Health knew employees had generated 5 million social media impressions in the first four months by sharing content. This way, Sutter Health can show the tangible impact the platform has on improving the employee experience, organizational productivity, and branding in the community.